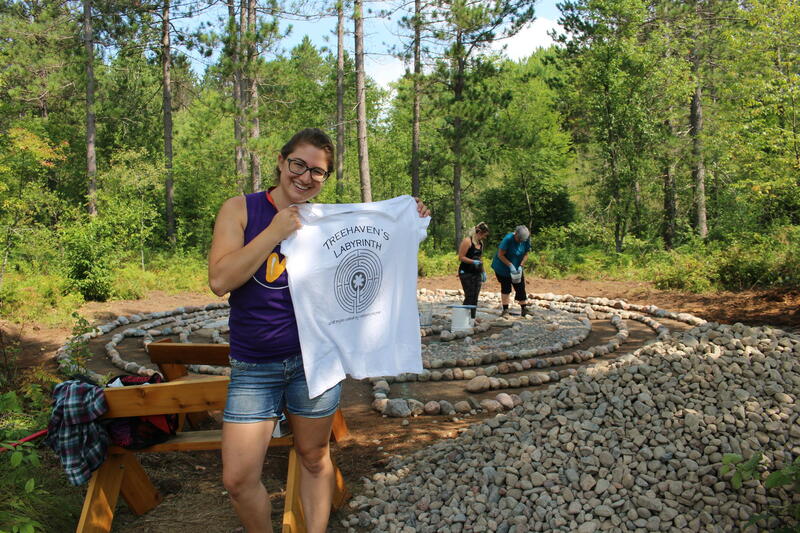 A work in progress: Meghan Wagner's labyrinth project at Treehaven College of Natural Resources in Tomahawk before it was completed. Meghan Wagner screen printed shirts for all of the community members that participated in the project. Meghan Wagner remembers the moment she became obsessed with labyrinths. It was last summer. She was studying abroad in Ireland. Before we go any further, I should really clarify what a labyrinth is. Or maybe what it is not. It is not a maze. 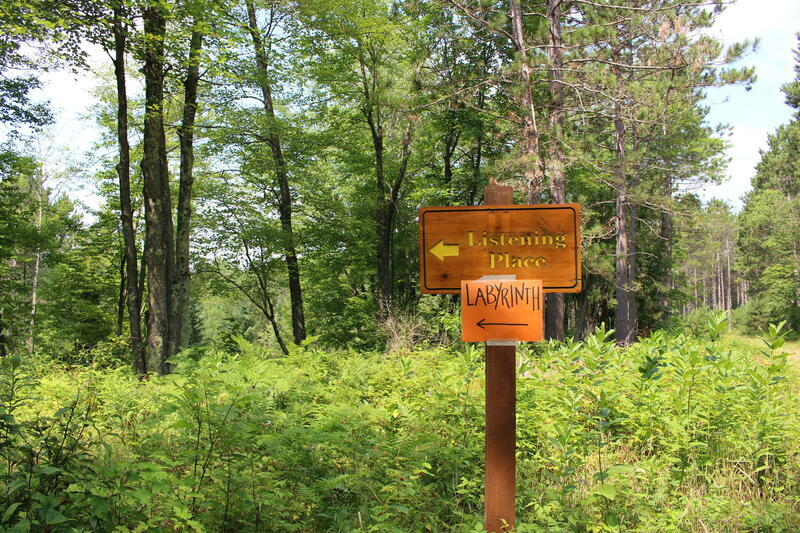 Meghan Wagner's labyrinth is a short walk into the forest at Treehaven away. Wagner says she came back from Ireland still a University of Wisconsin-Stevens Point student, but changed. She’s an art major and she was taking a glass class at the time. Suddenly the focus of her next semester became all about how to bring more labyrinths into her life and her art. Then in March of this year, she visited Treehaven in Tomahawk for the first time with her environmental art class. Treehaven is operated by the UW-Stevens Point College of Natural Resources. Naturally, she made a labyrinth there too, in the middle of winter. Present day, though, she’s about to unveil her largest labyrinth yet this Sunday. This labyrinth is also at Treehaven in Tomahawk, but it’s going to stick around a little longer than her last one. She leveled the ground and placed stones in an outline. Within that outline, she placed mortar with smaller river walks. She used 6 tons of river rocks and over 7,000 pounds of mortar. Glass is also incorporated into the project in multiple ways. She says it was really important to her that building the labyrinth was a community project, so she hosted community days at Treehaven and invited people to get involved, and people did. 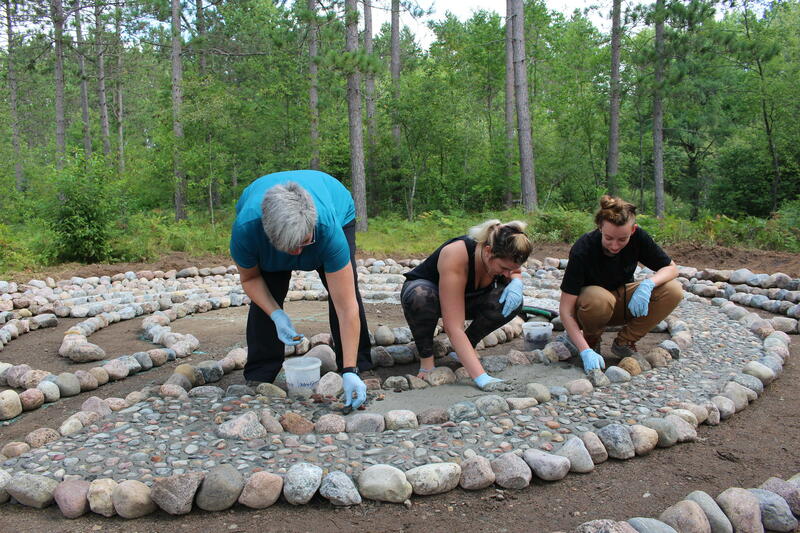 Community members help make the labyrinth at Treehaven. Treehaven's facilities rest on an ancient glacial ridge that overlooks 1,400 acres of forest and wetland habitat. Wagner was able to do the project because of a grant she received from UW-Stevens Point. She says it’s kind of a weird time to be studying art and arts management though. In spring of this year, UW-Stevens Point administration announced it was considering cutting 13 majors in the liberal arts field in response to a budget deficit, among other things. Art was one of the majors that was proposed to be eliminated. Discussion on how to prevent eliminating the 13 majors at UW-Stevens Point is expected to continue into the fall. 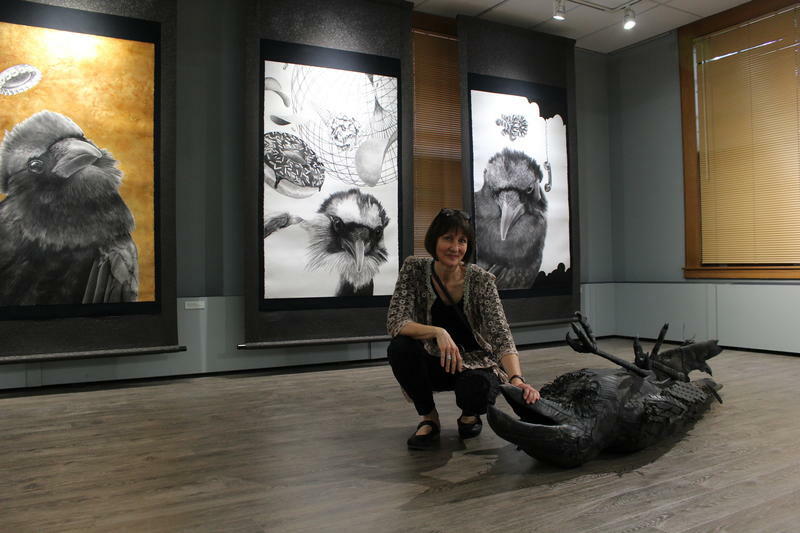 As for Wagner, in the next month, she’s off to New York State for an externship at the Corning Museum of Glass before she officially graduates in December. After that?